Partnering with the Ohio Arts Council, we strive to bring outstanding artists to our community each year as Artists-In- Residence. 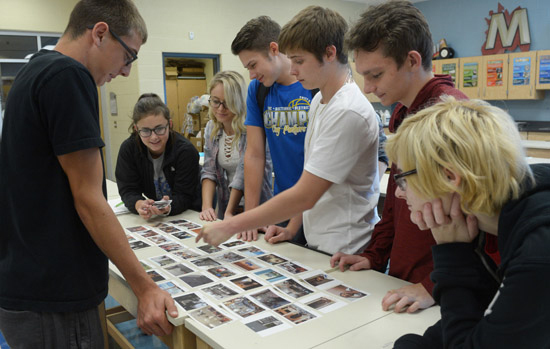 This year Clay High School art students and their teachers, Mrs. Tiffany Moore, worked with photographer, Gary Harwood, to tell the story of life in Scioto County. Mr. Harwood has been a photographer for Kent State University for more than 22 years and chief photographer since 1987. He began the Portsmouth residency on September 19 and completed his work with the students on December 6. A Celebration Reception took place at Clay High School on the evening of December 6, with parents, students and sponsors in attendance. Students shared their photographs and journals with those in attendance and Mr. Harwood was available to talk to the audience about the editing process. Mr. Harwood passed the project on to local freelance graphic designer, Kelly Babcock, who worked with the students to publish a book made up of the students’ photos and narrative. 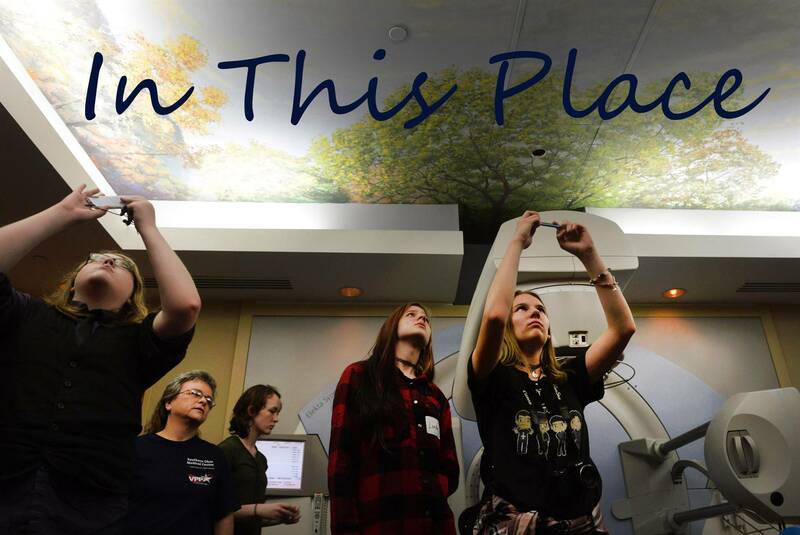 Each student received a book and copies were presented to the SOMC Cancer Center for patients to view while they are receiving infusion therapy. Congratulations to Clay High School art students and their teacher, Mrs. Moore, for the successful work they have completed! Special thanks to our sponsors, the Ohio Arts Council, Scioto Foundation, Southern Ohio Medical Center and the Portsmouth Rotary Club as well as to Kelly Babcock for sharing her time and her talents with the students. Copies of the book "In This Place" are still available to purchase. The book is a collection of local photographs taken by Clay High School art students that spotlight our community. The book is available for $25 paperback and $50 hardcover, and proceeds benefit the ESC and Clay High School art programs. Contact Sharee Price to purchase the book at 740-354-0229 or e-mail sprice@scoesc.org.